According to Ryan Block, co-founder of gdgt.com, Kindle slate from Amazon is being rushed to the market as the holiday shopping season is approaching and also that it will be soon replaced by a better version. For those who have not heard about the Kindle Tablet, it is a model based on RIM Playbook, which could not do much business as expected. 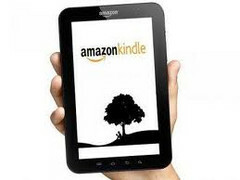 The second generation of the Kindle tablet known as the Kindle Fire tablet is expected to be out by the first quarter of 2012. The release of the Kindle fire tab was already planned, but the delay of V1 product has also affected Amazon’s kindle with the release cycle. Even the fire tab may have the same fate as this time it may be caused by the ODM manufacturer Quanta. As for in the hardware world delays are inevitable as a lot of factors affect it like shifting of timelines and sometimes even the change in strategies. So, the second generation Kindle tablet may even be pushed back. But, if all these factors don’t take their part then they are definitely on their way in the market by early next year.